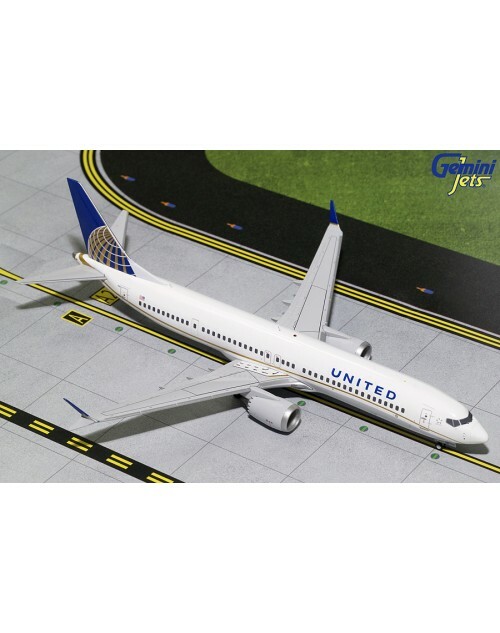 1/200 scale diecast GeminiJets United Boeing 737 Max-9 with current color scheme. Item #: G2UAL752. Registration: N67501, msn: 43430, line no: 6834. Released in August 2018. Stand included. Dimensions: Length: 8 1/4 inches (21.2 cms), wing span: 6 7/8 inches (17.6 cms).